Oh Internet! Is there nothing you can't provide? The latest bushel of wholesome goodness to be thrown from your large bosom is leaked footage from the upcoming Halo Reach Beta. Oh yes! Be titillated by the new, almost Asian inspired, soundtrack. Stare at the loading screen and ponder what Murder Mode is. And then, well then watch as the guy quickly covers the camera and we hear some in game background chatter going on. Seems almost intentional, no? We're still waiting on some official news of when that Beta is going live, but previous rumors pointed to early spring. If you didn't manage to read or see that Game Informer article which divulged plenty of Reach secrets, now's your chance to at least see the screenshots. Retailer EB Games leaked them onto the web, complete with annoying watermark, and then quickly yanked them. 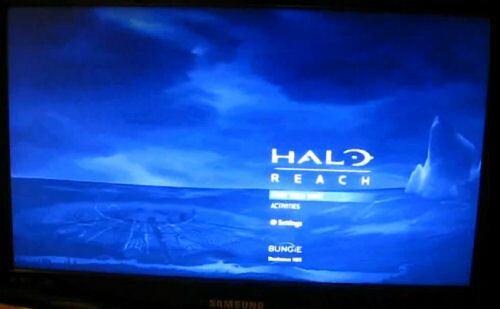 Perhaps something official is about to happen with Halo Reach. We'll keep you posted for sure.